Generally, emergency C-sections must be completed in 30 minutes or less to keep the baby safe. Many of the cases we see, the C-sections are not completed in time and a birth injury or brain damage occurs. If your emergency C-section was not properly completed or monitored, contact ABC Law Centers to learn more about how we can help. MR. REITER: Emergency C sections are performed because the baby is in trouble in labor, and basically the mother is labor in the hospital. The mother has on the monitor monitoring the baby’s heartbeat and when the baby’s heartbeat starts to show the baby is in trouble, this happens over a period of time, emergency C section is required. That monitor tells you whether the baby is safe and whether the baby is getting enough oxygen. If the baby is not getting enough oxygen, you got to get the baby out and you’ve got to do an emergency C section. Typically in this country emergency C sections need to be done in 30 minutes or less. Hospitals have to have that capability. 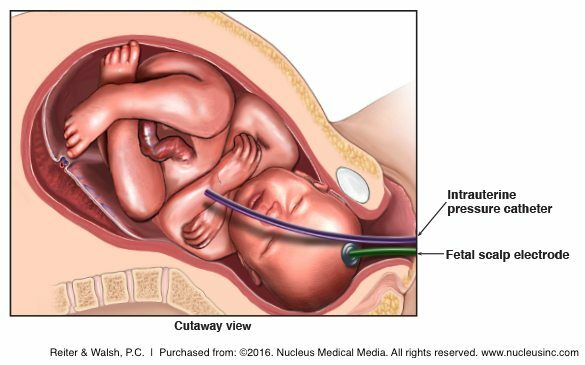 There are many cases where an emergency C section has to be done in less than 15 minutes because if you don’t get the baby out in less than 15 minutes the baby is going to suffer brain damage from lack of oxygen to the brain. So that’s why emergency C sections are absolutely critical. Many of the cases we’ve handled over the years, the C sections weren’t done fast enough and a baby is in trouble, the nurse isn’t monitoring carefully. The doctor is out to lunch. Something is going on, it’s not being monitored. The baby is not delivered fast enough or on an emergent basis and the baby gets delivered and they’ve suffered brain damage from lack of oxygen. So this is why emergency C sections are so critical. They have to be performed fast and people have to be trained to perform them fast and recognize when they need to be performed. MS. WALSH: Occasionally, when moms are in the hospital, they are required to have an emergency caesarian delivery. Frequently that’s because of something you may have heard of, non-reassuring fetal heart tones. Almost always that means the baby is not getting adequate oxygen for one reason or another, and that’s why the emergency delivery. Most of the time, when we look at records, we see that the delivery should actually have been done earlier, before the non-reassuring fetal heart tones ever showed up on the monitor. MR. REITER: When a C section is not performed fast enough and the baby has suffered lack of oxygen to the brain, many times this can be seen after the baby is born. Examples of this would be the baby goes to the NICU; the baby gets incubation and put on life support. They have seizures. There is imaging or CAT scans done of the brain which show that the baby suffered brain damage from lack of oxygen. Those are the immediate findings. Subsequently, these babies may develop cerebral palsy. They may have developmental delays. They may do poorly in school. If your child has cerebral palsy or development delays or difficulty in school and there was a difficult labor and delivery and you feel the C section wasn’t performed fast enough, come to us for a free consultation. We can look at the records and I’ve done this many, many times over the years. We can determine if the delivery did occur fast enough.